When Nicholas’s father dies he, his mother and sister, Kate, are left penniless. The family seek help from his wealthy uncle Ralph, who takes an immediate dislike to his young nephew. While Kate is found work as a dressmaker, Nicholas is offered a position as a tutor at Dotheboys Hall but soon discovers that the headmaster, Wackford Squeers, is a grotesque ogre and that one boy in particular is struggling to survive his harsh regime. In Charles Dickens’ blackly comic masterpiece Nicholas embarks on an adventure that takes him from loathsome boarding schools to the London stage and confronts issues of neglect and cruelty. 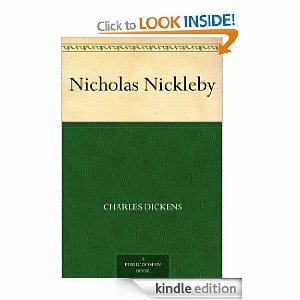 It’s 900 plus pages of comedy and melodrama covering years in the ups and downs of young Nickleby’s rather bizarre life. Hugely entertaining though although really quite dark at times and the action never really lets up. Highly recommended, as with the other more popular current BBC adaptations.